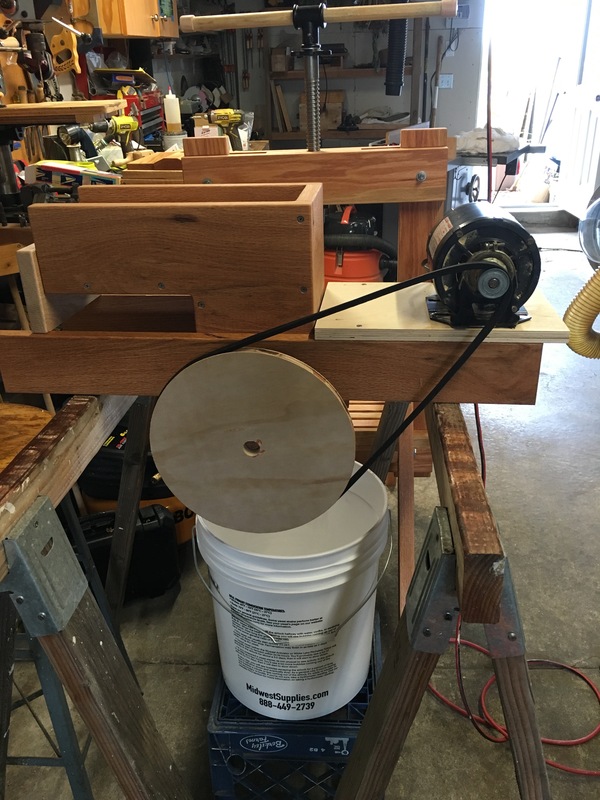 After looking for apple grinder plans, I found the one from Woodgears to be the best design for me. 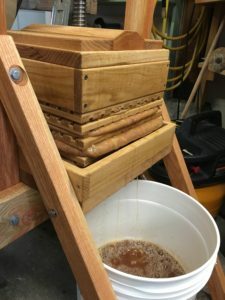 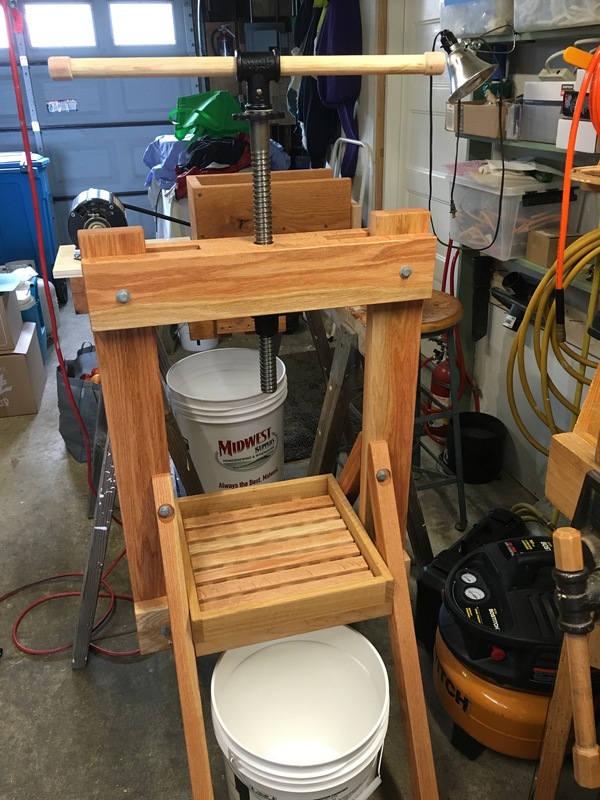 The first year, 2015, I ground some crabapples using the hand-crank method of grinding, and it worked pretty well, and I used my bench vice with some cutting boards and plastic to press the apples in cheesecloth… yield was a little more than 2 gallons of really acidic juice. 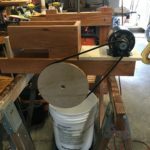 For the 2016 apple harvest, I had plans to motorize the grinder and build a press. 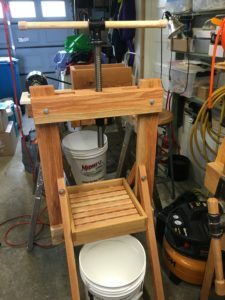 Having read Claude Jolicoeur’s book on cider, I found his press design to be very clear and well though-out, so I followed his design pretty closely.